The Bornean Whistler Pachyecephala hypoxantha is a common bird of the mountains here. 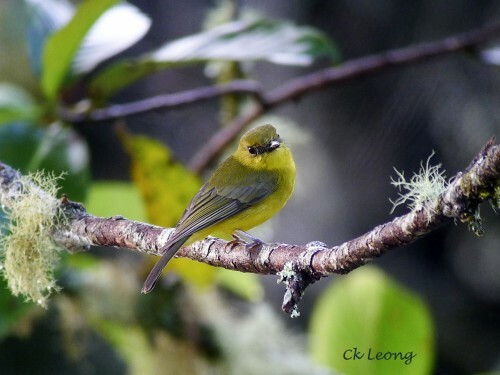 When at Mt Kinabalu this is probably one of the easiest endemic birds you will encounter. When it is perched, it likes to tilt its head this way and that while looking out for insects.